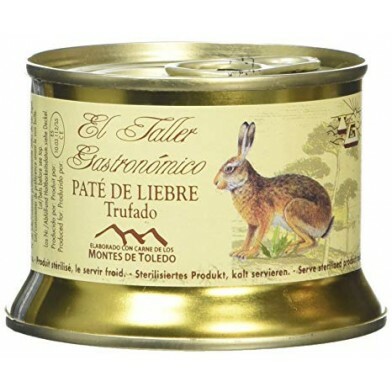 El Taller Gastronomico hare with truffle pate is one of a range of game pates from Toledo in central Spain, this is made using hare meat and rabbit liver with the addition of a little truffle. High in protein. Free from artificial colours. 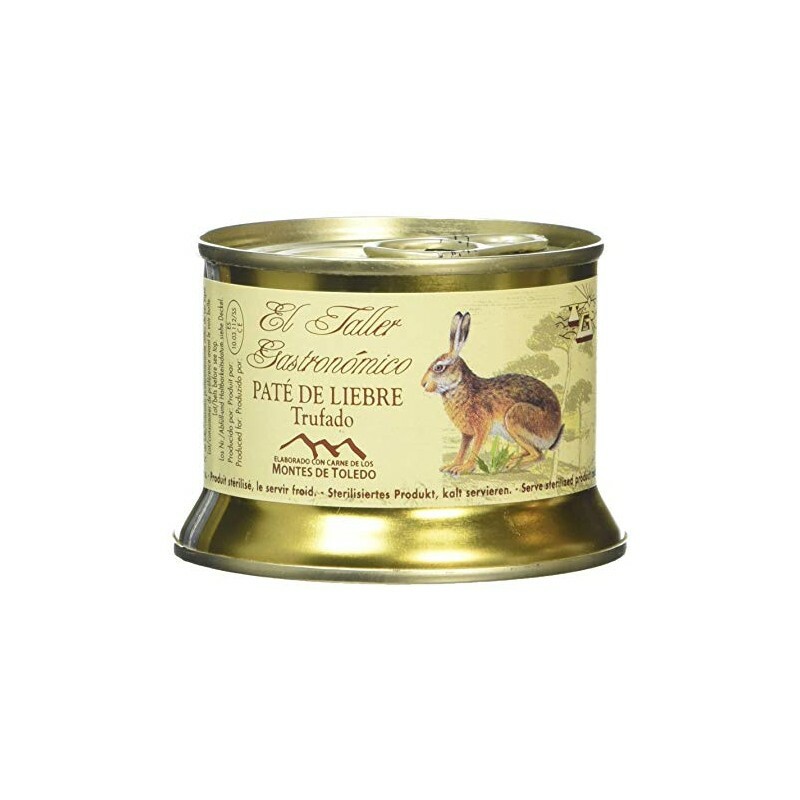 Hare meat 25%, lean rabbit liver, pig fat, milk, eggs, truffle 3%, salt, white pepper and stabiliser E450, preservative E250.